>> Video: Can Beating Yourself Up Be a Good Thing? Lymph Exercise Demo. Check out this video and try this exercise to move your lymph and circulation, give you energy and condition your muscles. Have you heard of some various martial arts practices called Iron Shirt, Iron Palm, etc.? They are awesome conditioning exercises. They are mostly done in order for the artist to toughen their skin and thicken their bones. This way they can receive blows and not get hurt. The Shaolin Kung Fu martial artist starts by hitting themselves with a bamboo brush, then advances to a metal brush, then metal bars. Some other disciplines start with fists and use bags of beans, then bags of metal balls. There is ancient wisdom in this technique. Not only does it do the wonderful effects above, but it also moves your lymph and provides an amazing detoxification. Lymph is a very important fluid for your health. It is an integral part of your immune system. Unlike the blood, it has no pump to circulate it through the body. Our breathing and movements are what get it flowing. If your lymph is stagnant, which happens more and more with today’s sedentary indoor lifestyles, you will experience more disease. Chronic inflammation occurs, sometimes just silent internal inflammation, because the lymph is not transporting toxins out of the body. This exercise will get your lymph and circulation going, relax your nervous system and give your skin a glow. I’m not a big fan of hitting myself with a stick, so I’ve adapted the practice to be more for lymph and detoxification, just using my fist. Even with light beating and jiggling, you achieve an amazing benefit. Check out the my quick instructional video for this technique. 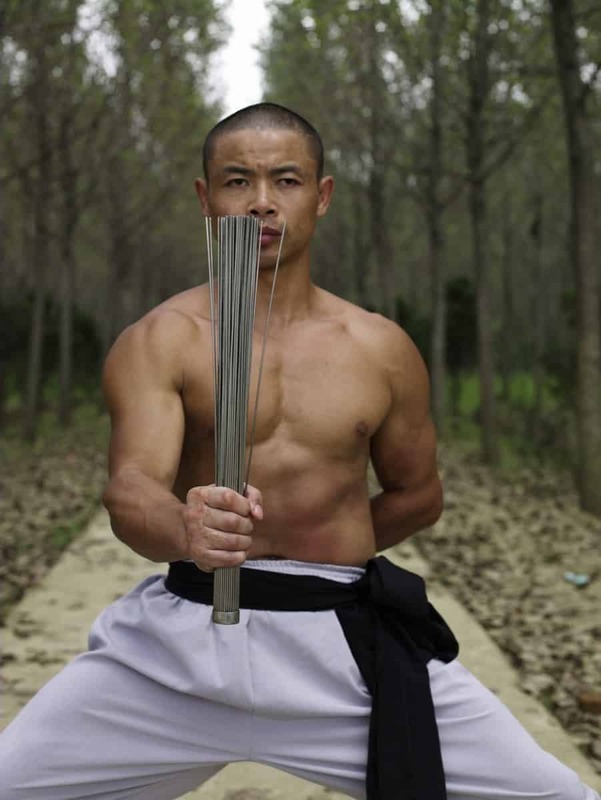 Then if you’re wanting some inspiration, check out the video link below of the martial artist teaching the Shaolin Body Conditioning! Take action now! Please report below your stories on how this lymph conditioning exercise goes for you and any big ahas or questions you had while reading this.